If you’ve ever toured the offices of the fastest-growing companies in the U.S., you might notice a few commonalities. There’s the ubiquitous ping pong table, productivity-enhancing tunes wafting through the air, and an open, flexible workspace designed to support collaboration across teams. But the biggest commonality of them all? Their cupboards are almost invariably stocked with an array of healthy snacking options. Silicon Valley’s cultural influence is certainly at play here. Cultural trend-setters like Google, Facebook, and the like have helped transform catered meals and healthy snacking options from a “nice-to-have” amenity to a must-have benefit if you want to recruit and retain your industry’s top talent. Of course, not just any snacks will do. The trend is definitely moving towards healthier, supplemented snacking as companies know that the most sought-after employees demand options that satiate hunger but don’t contain high fructose corn syrup, GMOs, or other harmful additives. Here’s why healthy office snacks are a staple at the fastest-growing companies – and why they might be right for your team as well. Culture and perks are definitely not synonymous – you can’t buy a ping pong table and magically transform a toxic culture into a thriving one. But that’s not to say that perks aren’t important. Perks are part of your culture, and the perks you choose send explicit and implicit signals to employees. Healthy office snacks tell your employees that they’re cared for and appreciated, and that their overall welfare is important to you. Plus, upgrading your snacks from low quality vending-machine fare to something a bit healthier can be an easy way to kick off more comprehensive health and wellness program, providing the foundation for larger cultural initiatives. Our mobile-enabled, always on-the-go lifestyles mean that we prefer sustenance that fits in a purse or messenger bag – or that can be consumed at our desks in between meetings. Data from market research firm The Hartman Group backs this up. They found that a staggering 91% of Americans snack multiple times a day, and that snacking now accounts for 50% of all eating occurrences. Providing snacks is simply offering employees what they want the way they want to consume it – particularly for Millennials. Onsite gourmet chefs aren’t feasible for most growing companies, but healthy snacks definitely are. If you’re looking for an office perk with an outsized ROI, look no further than healthy office snacks. Providing healthy snacks for your team isn’t just a relatively easy perk to implement. There’s strong evidence to suggest that doing so carries a host of benefits to your business. How and where to buy healthy office snacks depends on a few factors, including the size and makeup of your team. Here are the best ways to meet your team’s healthy snacking needs, no matter how big or small your company is. For smaller companies, sometimes the best solution is to just do the shopping yourself. Of course, you need to know what your team likes, and have a basic understanding of nutrition since many of the products that bill themselves as healthy are full of added sugar, preservatives, and other harmful additives. The other main drawback here is that it can be time consuming. If your office manager or assistant is running to the store every week, there’s probably ten other things on his or her to-do list that should probably take precedent. And of course, this solution doesn’t scale. Once you get beyond five employees, you’ll need a different approach. SnackNation does healthy office snack delivery right. This ultra-convenient, set-and-forget solution delivers a monthly shipment of the newest emerging brands in the natural foods space, curated by their internal team of snacking experts. 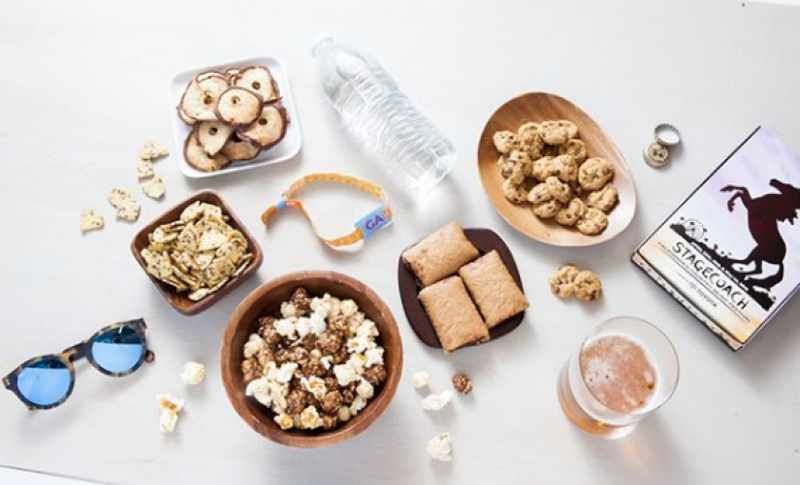 A snack concierge helps ensure an optimal mix for your team, there’s a new variety of snacks each month, and each box comes with a variety of snacks to meet almost every dietary restriction. SnackNation also scales with you. You can dial your program up or down based on the changing snacking needs of your team. Aramark is the place to go for full service – they offer everything from snacks to lunch to coffee, all in one premium package. They can also design and build custom restaurants and cafes, service your team with custom food trucks, or even trick out your break room with an on-site convenience store. Of course, their customizable solutions are really only viable for companies of a certain size. This is more for the Fortune 500 set than a 10-person lean startup.